We’ve moved into a house that has a gas stove/oven, which I’ve never used before. The first thing I tried to bake in the convection gas oven were 10 minute partially boiled new potatoes. Imagine my shock when it told me to “Put food in” after the preheating was done. 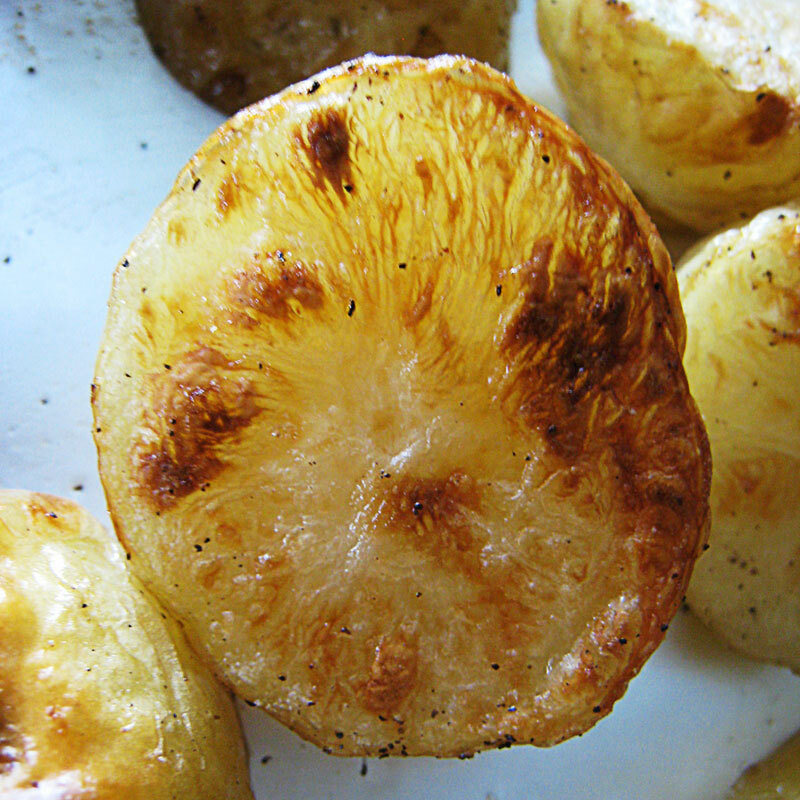 Then my amazement continued as I saw this texture develop on our taters. A whole other skin had roasted itself into being. And yes, it tasted as good as it looks.